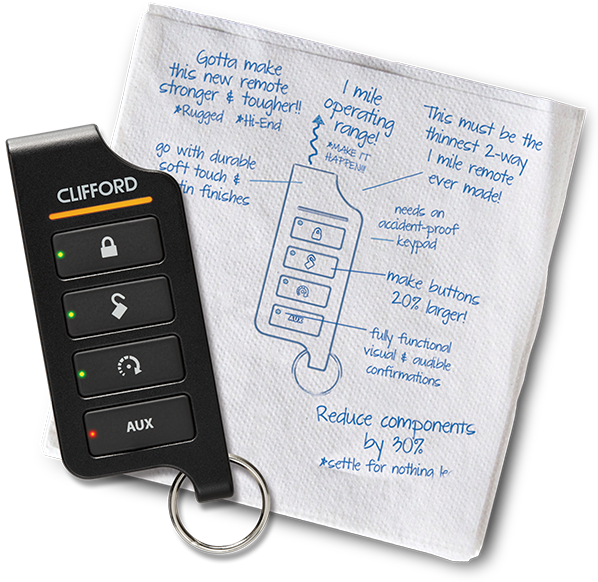 Getting a new car alarm or remote start system has never been this simple! 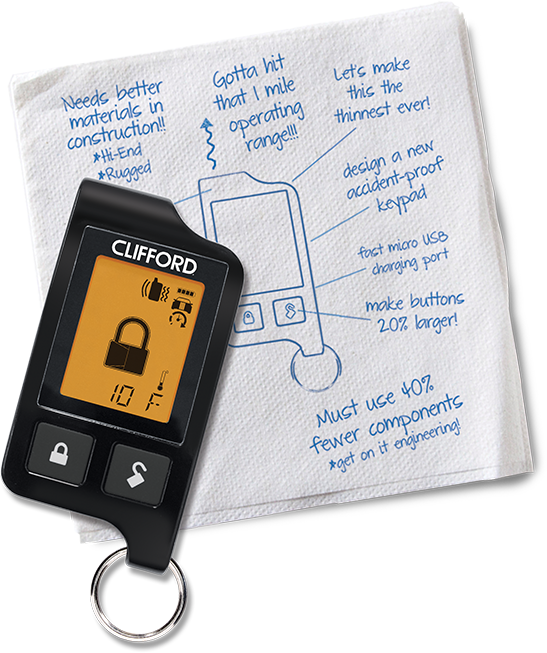 Now you can customize a Clifford system that is perfect for your vehicle, and send your configuration directly to an Authorized Clifford Dealer. Introducing the new Clifford remote lineup. This redesign not only looks good, they’re stronger, tougher and more rugged than ever before. With 20% larger buttons, accident proof keypad and a durable new Soft Touch satin finish, these new remotes take comfort and convenience to the next level. Use your smartphone to start or control your car from virtually anywhere. Use your GPS-enabled smartphone to start, locate and control your car from virtually anywhere.